Though the Campaign Season of 2018 is now over, initial analysis of our performance in this year’s elections is definitely encouraging. Notably, our candidate for State Attorney General, Terry Larson, attracted over 47,000 votes – enough, it appears, to have denied his principle opponent, Republican Brad Schimel, a victory. Even more importantly, the Constitution Party of Wisconsin outperformed all other third-party candidates by a margin of over 100%. These factors and others prompted us to issue the following Press Release today, to all Wisconsin press organizations. That Press Release can be found, below. We thank ALL of our supporters, and especially those Wisconsinites who entrusted our candidates with their confidence by endorsing them with their votes. We intend to build on your confidence and proceed in future elections to have even greater impact in the State of Wisconsin. 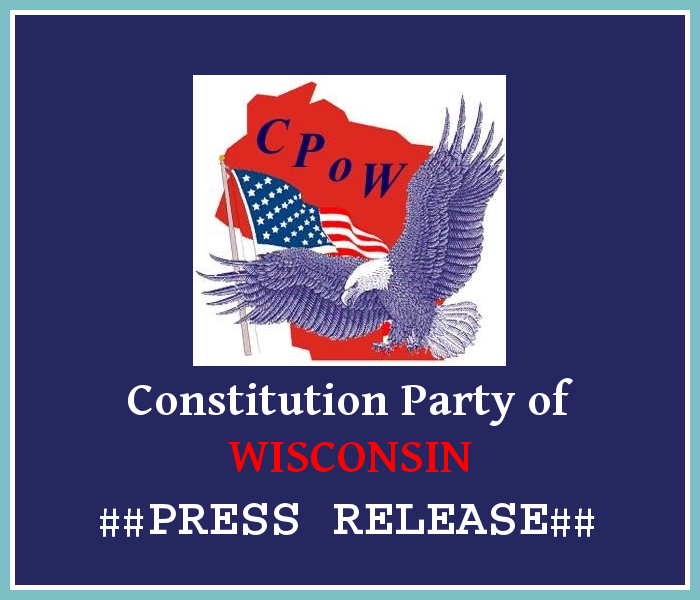 We realize that this is a longer PRESS RELEASE, but we respectfully request that you run it as a Post Election Statement from the Constitution Party of Wisconsin. Given the fact that we are apparently responsible for preventing a Republican victory (AG Brad Schimel), we believe that it would be of great interest to Wisconsin voters to hear from us directly on that observation and other related facts. After this election, we are now the dominant third party in Wisconsin. That is big news! Running as the only alternative candidates in their respective races, Terry Larson for Attorney General and Thomas Harland for Assembly District 64, campaigned with social issues central to their political message. Mr. Larson vowed to enforce Wisconsin Statute 940.04, which prohibits taking the lives of the unborn, and promised to uphold Article XIII, Sec. 13 of the Wisconsin State Constitution which limits marriage to one man and one woman. Thomas Harland championed traditional family values and called for an immediate end to the state-sanctioned murder of defenseless unborn children. None of their opponents offered any consolation to the many Wisconsinites having deep concerns over these vital issues. “We had this scenario in two partisan local elections. Members of our Party – Tom Wakely of Oneida County, and Marion Shaw of St. Croix County – ran for county Sheriff against Republican incumbents, and both received around twenty percent of the vote. While some of that may be attributable to ignorant progressives desperately voting for “anyone but the Republican,” we are convinced that these results, in combination with the results from our statewide races, suggest that around eighteen percent of conservatives are voting for Republicans only in the hopes of keeping liberal progressives from winning the election, not from a loyal confidence in the Republican Party at all. In fact, they appear to be so dissatisfied with Republican compromises that eighteen percent of them would rather vote for a candidate from a Party having much greater integrity on social and constitutional issues,” Lindee concluded. Wisconsin Constitutionalists agree that unless Republicans make a dramatic course change, they will continue to pay for it in future elections. 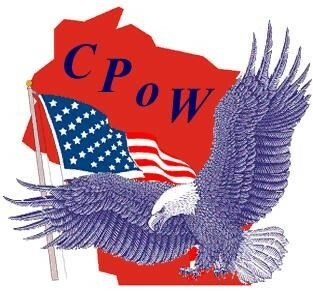 Regardless, the Constitution Party of Wisconsin will continue to build upon its gains this year and improve its performance in terms of reaching Wisconsin voters with its message and in terms of turning that messaging into votes. I can’t find any reference to term limits on the national page. What is the parties stance on term limits. We feel that elections serve as natural term limits on politicians. I cannot speak for the party as a whole, only our platform and member votes at our annual state convention can do that, but as a member of the party’s state, I would say that term limits are not the solution, since they end the terms of constitutional minded candidates as well as liberals. A well informed and morally minded electorate is the better solution.